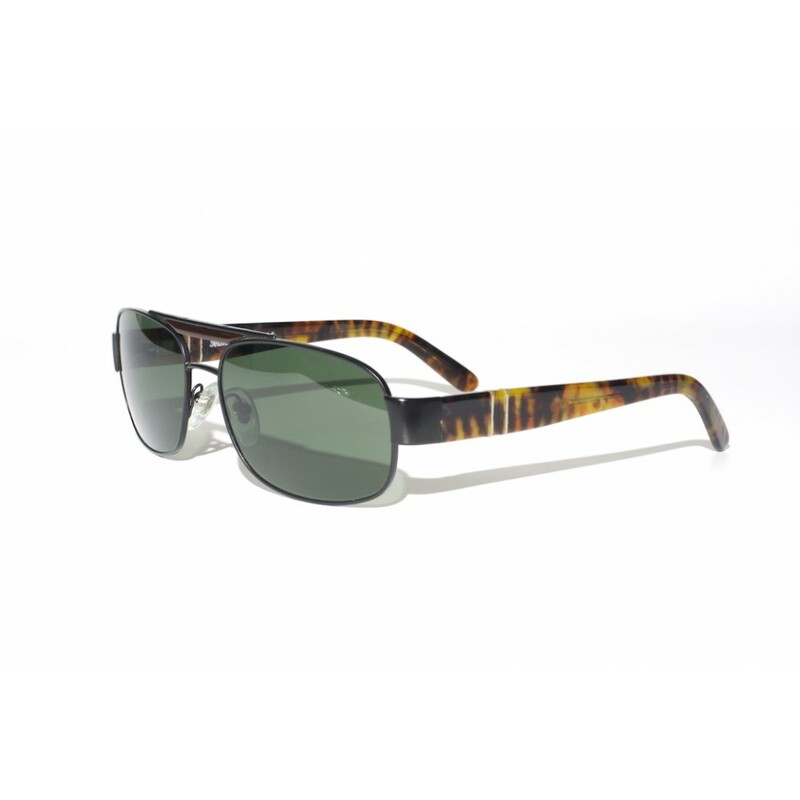 These are some great Persol wireframe sunglasses that feature a great classical look. The black, metal frames perfectly match the brown tortoise acetate earstems. This all is matched by a subtle acetate detail in the nosebridge, which causes the glasses to have a great uniform, but distinguishing look.